DAX continues to make a new low and this week broke below 11/20 low (11009) suggesting that the move lower remains in progress. 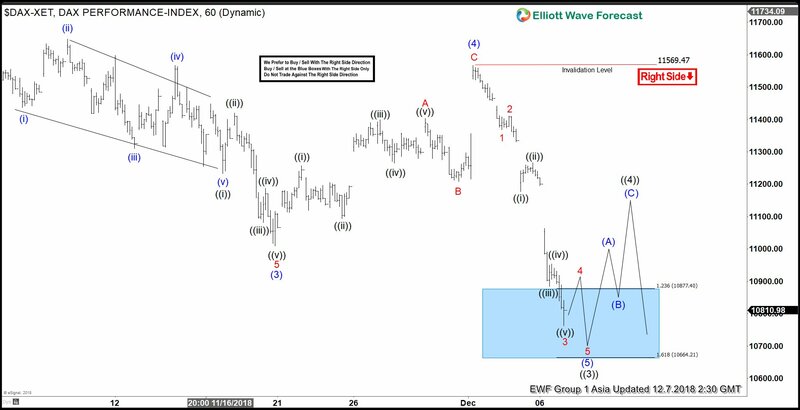 Near term Elliott Wave outlook calls for the decline to 11009.25 on 11/20 as Intermediate wave (3). 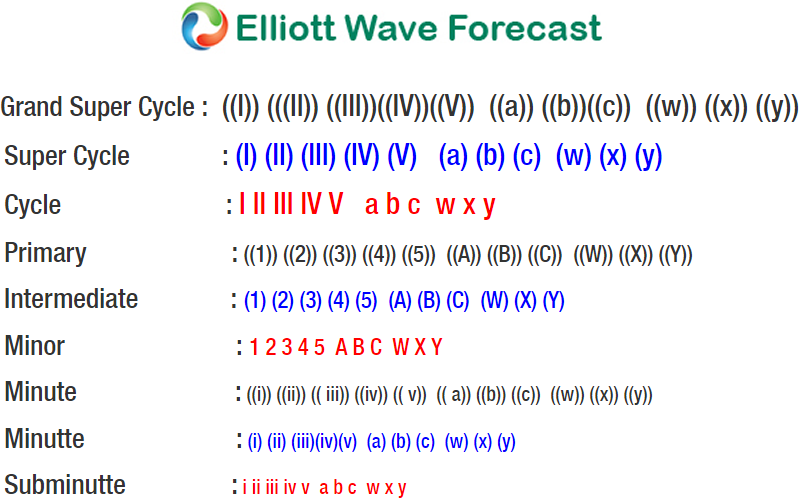 From there, rally to 11566.97 ended Intermediate wave (4) as a zigzag Elliott Wave structure. Minor wave A of (4) ended at 11403.72, Minor wave B of (4) ended at 11208.60 and Minor wave C of (4) ended at 11566.97. 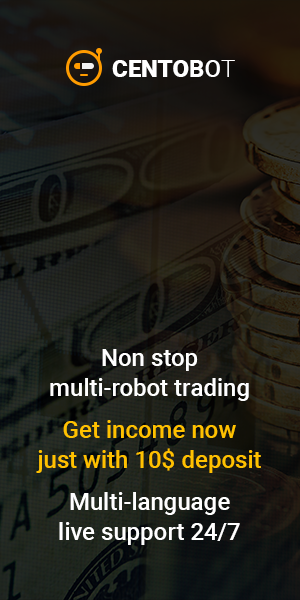 Decline from there is unfolding as an impulse Elliott Wave structure and a marginal low still can happen before ending the 5 waves down. This move lower also ended Intermediate wave (5) and Primary wave ((3)) of a larger degree. Afterwards, expect Primary wave ((4)) rally in 3, 7, or 11 swing before the decline resumes again. We don’t like buying the proposed rally as the right side still remains lower.